Thirteen months after graduation, Homer Ahr was on mission control of NASA’s Apollo 11 — the 1969 mission that landed the first man on the moon — working as a computer programmer. A year later, he was working on Apollo 13. 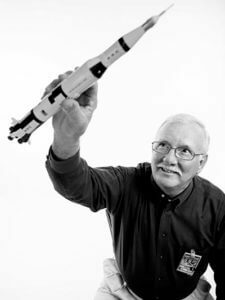 It was the beginning of what would become a 37-year career with IBM, which at the time was a NASA contractor. I’m giving you permission to brag. What was your role in the Apollo missions? 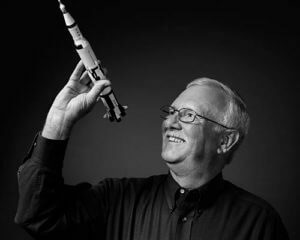 I was considered the lead architect and technical person at IBM on manned space in Houston, programming real-time software for trajectory and maneuver planning. They had me start training during simulations for Apollo 11, and then they chose me to be on the console. I was called in to support Apollo 13 when an explosion damaged the spacecraft and forced the crew to return to Earth early. The path they were on would have taken them too long to get back, and they would have run out of oxygen. I was involved in the maneuver that got the crew back alive. That maneuver was computed for the first time on Apollo 13. How was it being a fresh college graduate working on a project of this magnitude? In retrospect, it caused a lot of consternation on the part of management because I was the youngest guy and least experienced. A year, that’s all I had, and they chose me to be on the prime team. I was on one of the most complex consoles over there. During Apollo 11, how did you keep your cool knowing the astronauts’ maneuvers were in your hands? We were dealing with life and death. If we didn’t do things right, we could send the astronauts in the wrong place, and they would eventually die. But we knew that if we could just get Neil Armstrong close enough to the moon, he’d land it. If any man in the world was going to land on the moon that day, it was him. Once the alarms started sounding during Apollo 13, what went through your head? I think we were scared. It was very real to us, and we did it all in front of the world, in public. And yet, we had to put that out of our minds. That can scare you if you dwell on it too much. What was one of the more memorable moments during Apollo 11? When the astronauts land on the moon, they land on the side of the moon we see. But before that, they’re actually behind the moon. For 45 minutes we couldn’t see them or talk to them. Consequently, the system that got taxed the most was the bathroom. Right before they were going to land on the moon, everybody knew they needed to go to the bathroom because, if things didn’t go well, you may not be able to leave your console for hours. It was like the worst football halftime you’ve ever seen. Did you get to meet Neil Armstrong or James Lovell Jr.? I was not an astronaut groupie. We didn’t bother the astronauts. We had a job to do, they had a job to do. What advice would you give to Computer Science majors at St. Mary’s? Never think that just because you designed it, built it or coded it, no matter how thoughtfully and carefully, that it is “right” and “good.” One of the first programs that I wrote on the space program was hard to use under the real-time pressures of the mission. So, I wrote a problem report on myself and changed it. We built operating systems, displays and computers simply to do the things that were really important like fly space shuttles and land men on moons. Computer Science is just a means to an end. Now for the important stuff. What’s your take on the 1995 film Apollo 13? The movie is a really good, if not excellent, dramatization of what occurred. It does an outstanding job of creating the environment that we went through. The emotions all come back. It is not, however, particularly technically accurate. I watch it every time it comes on. I’ve seen it 15 times.